A confection of a novel, combining big city sophistication with small town charm. A light, enjoyable read. Penny moves to small town Hog's Hollow from NYC with her mother when her parents separate. Like any new kid, Penny is trying to find her place in a new town and new school. She very quickly finds that her place is NOT with the popular girls, led by Charity. A little cupcake accident at Charity's birthday party and a lifelong grudge between their mothers makes Penny the target of the local mean girls. Their little stunts are pretty amateur and fun to read - a locker full of pennies, dead fish in locker, etc. Penny's start in Hog's Hollow is pretty miserable. Thankfully, she does find a place in town. She loves working in her mom's new cupcake shop, has a close relationship with her grandmother, makes a great friend in Tally, and meets Marcus, the cute troubled boy. Penny is a very normal girl. She doesn't have the sophistication that many books ascribe to girls from NYC. I like her normalness. She's timid but not too much; an obedient daughter but sneaky enough to investigate her parents' secrets; a good friend but unwilling to share her troubles or feelings with anyone. I loved Tally - Penny's blue-haired, artsy, animal-lover best friend. I loved her creative way of getting back at Charity, her devotion to the animals at ARK, her willingness to share her problems with Penny, how she's not afraid of what people think of her. Markus is a great love interest too. Cute, smart, nice, and funny, but also struggling with his family's past. The summary makes a big deal over a "choice" that Penny has to make regarding her family. I thought the big "to-do" was rather silly. This book is really about Penny growing up, making new friends, and adjusting to a new life. Her family's troubles seemed more like an excuse for a plot point than anything else. It was the least important part of the book for me. All in all, this is a thoroughly pleasant read. It's nothing to write home about - in fact, two days after finishing it, I'm having some trouble remembering the book. 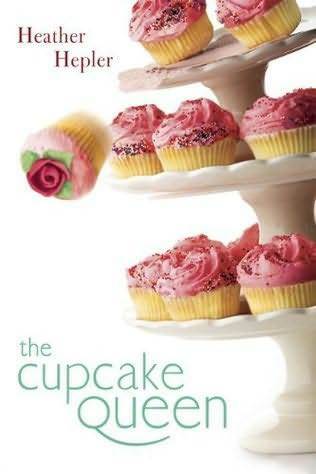 But if you're looking for a light, enjoyable read, The Cupcake Queen certainly fits the bill. looks really good! have never heard of this one before I put it on my to red list at goodreads!! Sounds like a cutie! I mean, who wouldn't like a book about cupcakes? I think I'd really enjoy this as a light, fun read. Excellent review! Cupcakes---I couldn't do it...it would make me too hungry! I love the cover! Sounds like a great read. Sounds just like the cover - light and fluffy - a perfect holiday read, thanks for the recommendation.